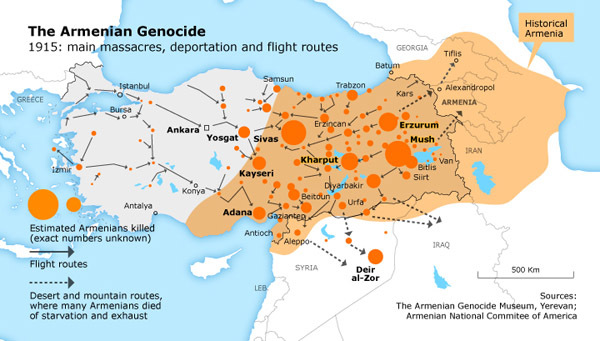 At the end of the 20th century, Genocide reparations efforts finally broke through the thick haze of post-traumatic desolation because, until then, the survivors and their children had knuckled down to reconstitute their families, recreate their communities, replenish their confidence, and resurrect their faith in humanity. It took a generation or two for them to get back on their feet and to stand strong again and, once upright, they fastened on the moral imperative of Genocide recognition. And now it is the time, none too late, to turn decidedly towards and work in earnest for Genocide reparations which are the inalienable rights of the injured parties and their heirs. Criminal and civil claims, which follow naturally from but are not dependent on recognition, will be pursued to reverse or at least compensate for the harm, albeit incompletely, because our homeland and its people can never truly be made whole again. The Armenian Bar’s Genocide Reparations Committee will undertake and implement strategic, legal initiatives to account for the loss of indigenous lives, property, rights, and patrimony. Do You or a Family Member Have a Claim? The AGRC undertakes the collection of relevant documents in the pursuit of reparations. Please submit any documents that may be related to claims or otherwise to receive feedback for a potential legal initiative.